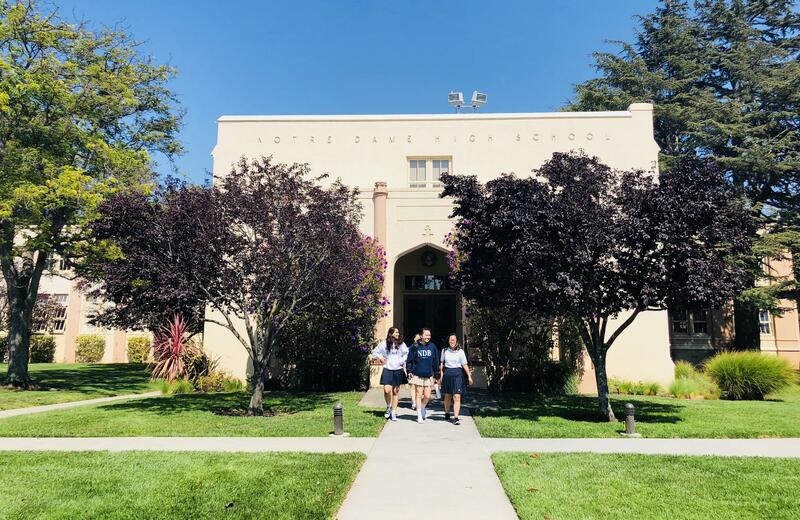 On August 4, 1851, Notre Dame Academy was established by the Sisters of Notre Dame de Namur in San Jose. The present high school building in Belmont, designed for a large resident population, was completed in the fall of 1928. The first graduation from Notre Dame Belmont was held in 1930 with 31 graduates. During the next three decades, NDB's day and resident student population continued to grow. In 1968, the Stanford School of Educational Research conducted a general study of the high school facility. As a result, the science area was renovated to provide increased laboratory space. The introduction of flexible scheduling followed and enabled greater utilization of the high school building. An additional classroom enlarged the art department, and former resident rooms were converted into seminar rooms and resource centers. In 1972, the boarding school was discontinued. NDB continues to provide an educational foundation which emphasizes academic excellence, spiritual growth, critical thinking, creative expression, physical well-being, social awareness, and self-confidence. Reflecting the vision of St. Julie Billiart and her pioneer Sisters, Notre Dame High School continues to be a special place for students to learn, grow, and prepare for life.